Visit our Open House Sunday, January 27, 2019 from 1:00-2:30. Registration for Preschool - eighth grade for the 2019-20 school year will begin at Open House. Personal tours with our principal, Mrs. Candace Hurley are offered year round. 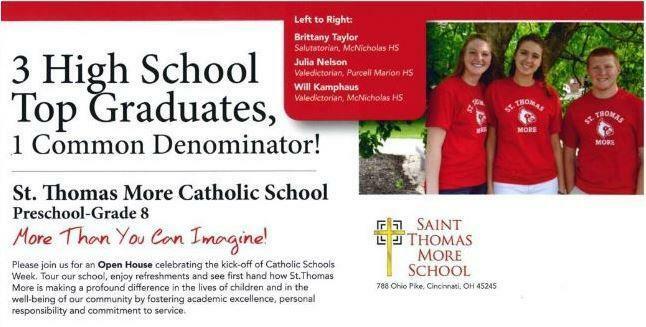 Please call to schedule your tour today 513-753-2540. You will receive a guided personal tour of the school campus. Enjoy visiting classrooms where you can talk to teachers and students about our curriculum and see student projects. Visit our music room equipped with Orff instruments, our art room full of supplies for the most creative student, and our large gymnasium where students enjoy physical education twice weekly for 45 minutes per session. 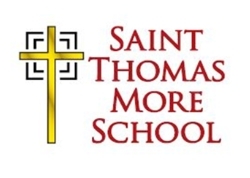 Come see why St. Thomas More School offers "More Than You Can Imagine." After your visit please complete an Open House Survey by clicking here.